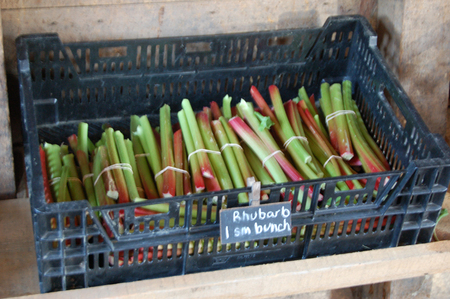 Yummy rhubarb from our local CSA. 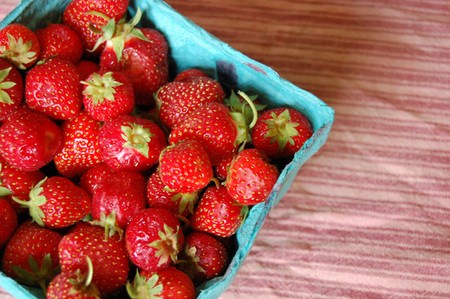 + Strawberries from yesterday's pick-your-own adventure. 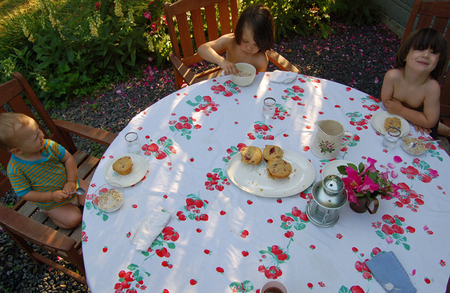 = the perfect 6am pre-breakfast muffin snack (vintage strawberry tablecloth makes them taste even better). Mix dry in a large bowl. Mix wet separately. Add wet to dry. Stir in berries and rhubarb. Spoon into greased muffin pan. Bake at 350 for 30 minutes. Devour.